Is there a better alternative to Songs? Is Songs really the best app in Music category? Will Songs work good on macOS 10.13.4? Songs lets you quickly capture the essence of your chord arrangement for a song by adding chord voicings to song lyrics. In a few clicks, add or change chord diagrams. Drag and drop diagrams to copy or move them to a different location. 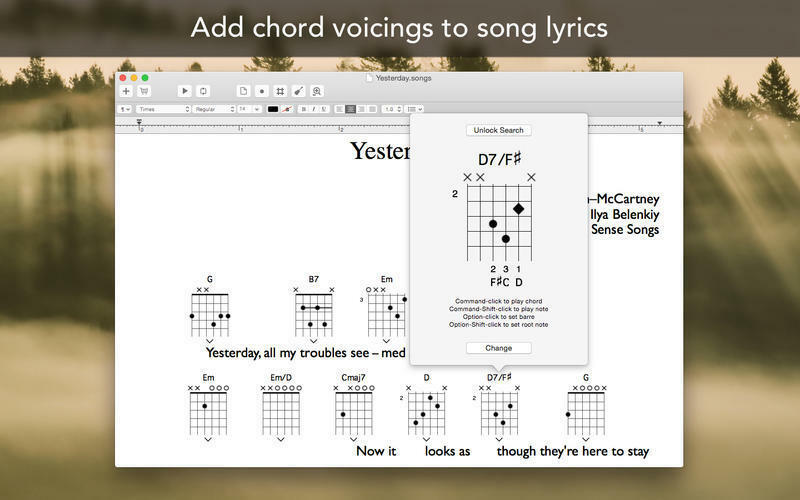 Songs plays the notes as you enter the chords and automatically suggests chord names and fingerings. 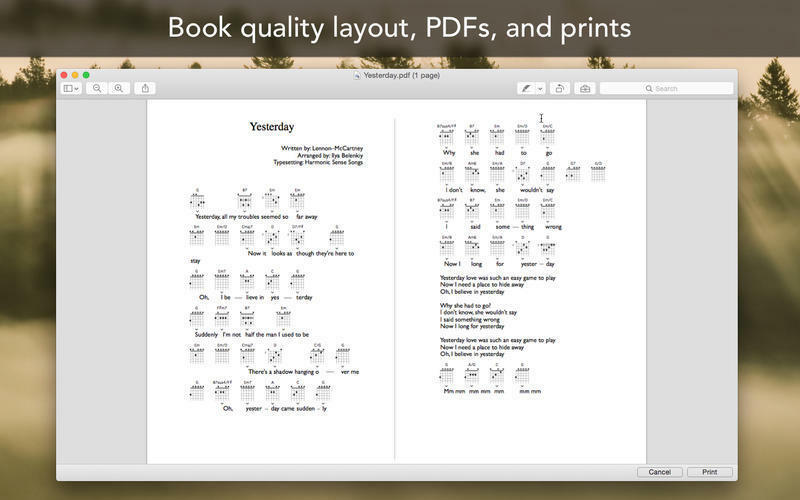 When you are done, make a beautiful printout, or export to PDF. And you can always go back and make quick adjustments when you find an even better way to play the song. Songs needs a rating. Be the first to rate this app and get the discussion started!